The satellite meeting focused on those questions about the origins of numerical abilities that can only be answered by further research. These include the numerical limits of animal enumeration, the nature of the neural enumeration mechanism, identification of genes that contribute to the development of numerical abilities, and the role of symbolisation (words and tallies) in the prehistory of numerical abilities. Speaker abstracts and biographies are available below. Recorded audio of the presentations are also available below. 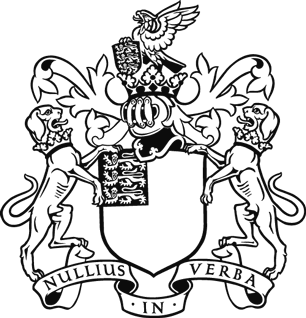 Prior to this meeting there was a related discussion meeting 'The origins of numerical abilities' held at the Royal Society, London on 20 - 21 February 2017. 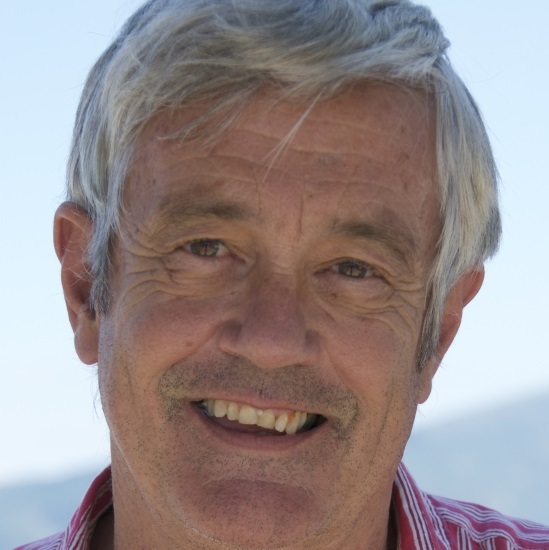 Stanislas Dehaene holds the chair of Experimental Cognitive Psychology at the Collège de France in Paris. He heads the INSERM-CEA Cognitive Neuroimaging Unit, located within the NeuroSpin Center in Saclay, south of Paris – France’s advanced brain-imaging centre. His research investigates the mechanisms of human cognitive functions such as reading, calculation, and language, with a particular focus on conscious versus non-conscious processing. 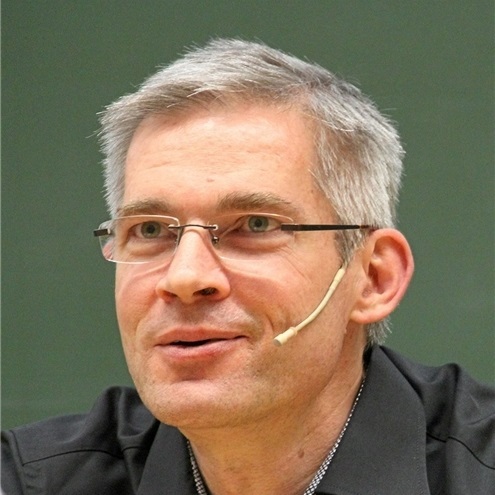 A member of six academies of science, he is the author of ‘The number sense’ (1997), ‘Reading in the brain’ (2009), and ‘Consciousness and the brain’ (2014). In 2014, he received the Brain Prize, together with G. Rizzolatti and T. Robbins. 09:45-10:15 How can zebrafish be used to explore the evolution and genetics of numerosity? What underlies the ability to count and where did it come from? Current hypotheses propose that our ability to accurately represent the number of objects in a set, and to carry out numerical comparisons and simple arithmetic, developed from an evolutionarily conserved system for approximating numerical magnitude, the ANS (approximate number system). According to this hypothesis the ability to assess numerosities would have an evolutionarily conserved genetic and neural basis, and one might expect at least some aspects of the neurobiology underlying ability to perform approximate numerical tasks and to accurately represent number to be shared. Zebrafish are an ideal model species in which to test this hypothesis and to explore the cell biology of numerosity: Teleost fish have long been used for comparative studies of numerosity using both numerical discrimination and match-to-sample task. These studies have recently been extended to zebrafish and preliminary analysis indicates that automated systems and behavioural assays developed in our lab can be used for assessment of zebrafish numerosity. These behavioural assays coupled with advances in gene editing and in vivo imaging techniques make zebrafish an ideal model species for investigating the neural correlates of numerosity. Identification of the neural circuitry underlying numerosity in distantly related vertebrates such as zebrafish, and analysis of the impact of the disruption of homologues of genes associated with human numerosity could provide a breakthrough in our understanding of the evolution of numerosity and its the basis of disturbances in our own species. I did my PhD at King's College London in the Lab of Professor J.M. Littleton working on adaptive mechanisms underlying drug dependence. I demonstrated adaptive changes in the number of DHP sensitive VOCC following chronic exposure to central depressant drugs and showed that these changes were associated with genetic vulnerability to drug dependence. I undertook post-doc training at the Clinical Research Centre Harrow, UK before joining the laboratory of Professor Nigel Holder at The Randall Institute, KCL and moving with him to UCL in 1998. Whilst at KCL and UCL I used zebrafish as a genetic model system for analysis of mechanisms underlying development. Since 2000 I have been a Lecturer and Senior Lecturer (Associate Professor) in Molecular Genetics in the School of Biological Sciences QMUL. Our work combines the two areas of my expertise: molecular mechanisms underlying drug dependence and zebrafish as a developmental genetic model system. We have developed behavioural assays of drug seeking, compulsive drug seeking and relapse in zebrafish and are establishing lines of fish in which to explore the genetics contributing to these behaviours. More recently we have developed automated assays of aspects of executive function including impulse control, attention, memory and learning in adult zebrafish. I am currently a Royal Society Industry Fellow and consultant of Pfizer International. Twin studies indicate that dyscalculia (or mathematical disability) is caused partly by a genetic component. However specific genes have not been identified yet. Only a few candidate genes have been proposed so far but they have not been convincingly replicated. This failure is mainly due to lack of investigations in this area. Dyscalculia can co-occur with other neurodevelopment conditions, such as dyslexia. Genetic studies of dyslexia are far from explaining the biological component of this condition but have led to the identification of few susceptibility genes. These studies highlighted significant challenges for such approaches but equally provide a useful model to study neurodevelopmental conditions like dyscalculia. One of the key elements determining the success of genetic studies is phenotypic assessment. Assessing reading abilities is extremely challenging especially because of high heterogeneity across studies and populations. Maths offers the advantage of potentially being assessed through homogenous tests not dependent on the spoken language. This facilitates the collection of data in independent samples that can be combined for large genetic screenings. Consensus on such tests would provide an important contribution for paving the way towards successful studies of maths abilities. Silvia Paracchini holds a Royal Society University Research Fellowship at the University of St Andrews. She leads a research programme aimed at dissecting the genetic component of neurodevelopmental disorders and related traits. In particular her research focusses on the genetics of dyslexia and handedness. 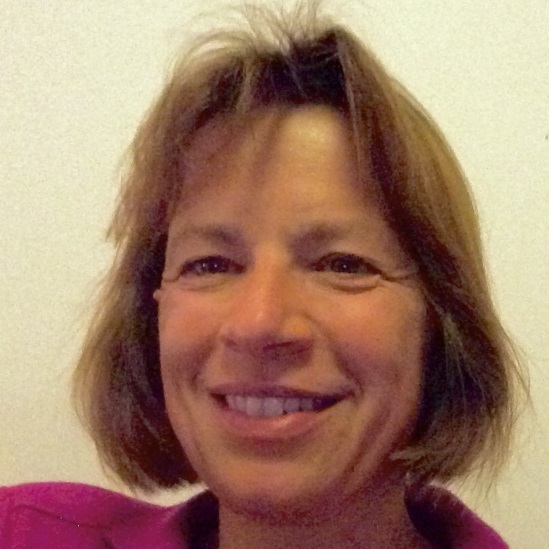 She also leads the St Andrews Bioinformatics Unit which provides support for large scale functional genomic analysis. Her postdoctoral training was conducted at the Wellcome Trust Centre for Human Genetics (Oxford) in Professor Tony Monaco’s group. She obtained a DPhil in Human Genetics at the University of Oxford and a Laurea com laude in biological sciences at the University of Pavia (Italy). In 2014, Silvia became a member of the Young Academy of Scotland. Clinical studies as well as recent investigations conducted with other methodologies (e.g. neuroimaging, transcranial magnetic stimulation, direct cortical electro-stimulation) leave several unanswered questions about the contribution of the right hemisphere in calculation. All methods, indeed, increasingly show an involvement of the right hemisphere in functions traditionally believed to be in the domain of the left hemisphere. In particular, novel clinical studies show that right hemisphere acalculia encompasses a wide variety of symptoms, affecting even simple calculation, that cannot be entirely attributed to spatial disorders or to a generic impoverishment of processing resources as previously believed. Moving from the conclusions of these studies, new data were collected, by means of Direct Cortical Electrostimulation during glioma surgery and Magneto-Encephalography (MEG), concerning simple calculation, i.e., one-digit addition and multiplication. Up to very recent times, these tasks were believed to be carried out by the left hemisphere. The studies reported here show instead how the right hemisphere has its own specific role and that only a bilateral orchestration between the respective functions of each hemisphere guarantees, in fact, precise calculation. Vis-à-vis these data, the traditional wisdom, that attributes to the right hemisphere a role mostly confined to spatial aspects of calculation, needs to be significantly reshaped. The question for the future is whether it is possible to precisely define the specific contribution of the right hemisphere in several aspects of calculation while highlighting the nature of the cross-talk between the two hemispheres. Carlo Semenza graduated in Medicine and has a Diploma in Psychiatry from the University of Padova. He has been Professor at the University of Padova since 2008. Previously he was Professor of Neuropsychology at the University of Trieste, Head of the Department of Psychology at the University of Trieste and a Research Fellow at the Boston VA Hospital. He has also been visiting professor at the University of Melbourne, the University Complutense Madrid, Boston University, Victoria University, the University of Athens and BCBL San Sebastian. He was the founding organiser of the European Workshop on Cognitive Neuropsychology. Professor Semenza has over 300 publications in international journals such as Nature, Brain and Neuroimage, and has written chapters in internationally edited books. He is also on the board of editors of several journals, for example Neuropsychologia. Professor Semenza’s main research interests are the neuroscience of mental lexicon, mathematical cognition and the brain implementation of processes observed in psychoanalysis. 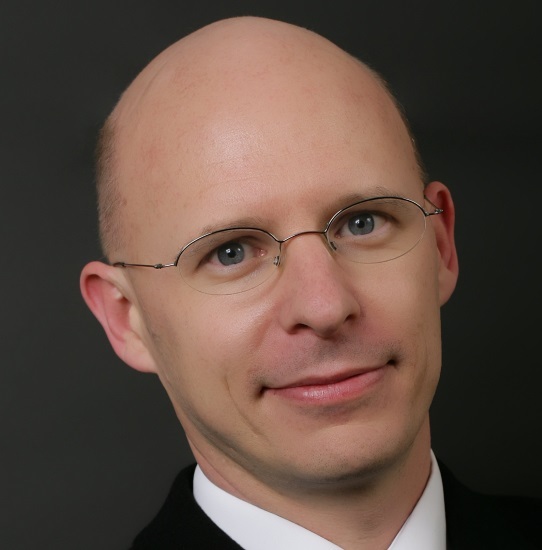 Andreas Nieder is professor of Animal Physiology at the Department of Biology at the University of Tübingen (Germany), where he is also Director of the Institute of Neurobiology. He studied Biology at the Technical University Munich (Germany), and received a PhD in biology/neuroscience from the University Aachen (Germany) with Dr Hermann Wagner. He was a postdoctoral fellow with Dr Earl K Miller at the Massachusetts Institute of Technology (Cambridge, Massachusetts, USA) before leading an independent junior research group at the Hertie-Institute for Clinical Brain Research/Department of Cognitive Neurology at the University Hospital Tübingen. He is interested in how higher brain centres enable intelligent, goal-directed behaviours. To that aim, his laboratory explores the functioning of highly intelligent primate and corvid brains that evolved independently through convergent evolution. Healthy ageing is characterised by changes in brain volume and connectivity corresponding to cognitive changes, especially diminished memory and attention processing. Dr Cappelletti will present evidence to complement this view and demonstrate that, instead, some cognitive abilities and brain structures can be resilient to ageing. She will use numeracy skills as an example of a cognitive ability that is maintained in ageing adults, and she will further demonstrate that elderly can also improve their performance in numeracy and attention following training, or training coupled with brain stimulation. 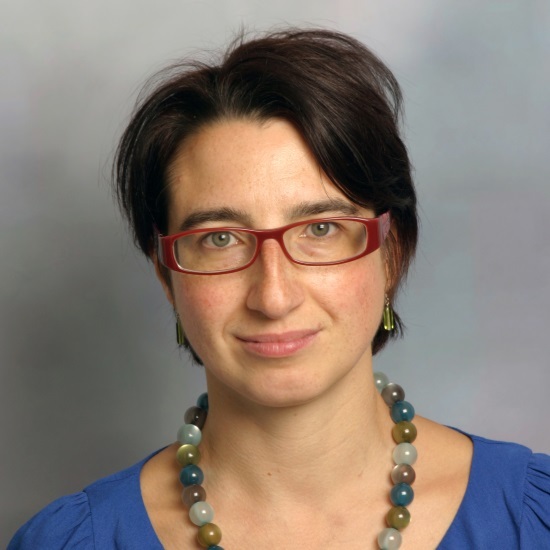 Using data from a large neuroimaging study, Dr Cappelletti will propose that resilience to ageing may be explained in terms of complex alterations in the microstructure of myelin and iron content. Based on this evidence, Dr Cappelletti suggests that resilience to ageing is an example of brain plasticity, and that numeracy is maintained in ageing because it is supported by a network of brain regions that age less compared to others. After obtaining a BSc in Psychology at the University of Padua in Italy, I moved to London initially as part of the Erasmus Program, and afterwards to complete a MSc in Experimental Psychology at UCL. I then moved to Kings’ College London to complete a Wellcome Trust founded PhD that focused on numerical cognition in neurological patients. I subsequently spent 1 year learning about brain stimulation at Harvard Medical School in Boston, US sponsored by fellowships from UCL Bogue and the British Academy. On my return to London, I was awarded a Wellcome Trust Advanced Training Fellowship to study numerical cognition in healthy and pathological patients with functional imaging, based at UCL. This was followed by a Royal Society Dorothy Hodgkin Fellowship still based at UCL, during which I combined previous methods to study learning and ageing. I now mix my research with teaching undergraduate and postgraduate students at Goldsmiths, University of London. Diffusion tensor imaging has provided unique information about brain microstructure. The trajectories of these brain microstructural changes have been mapped from birth to adulthood. In particular sexual dimorphisms have been demonstrated which appear to be related to the differential onset of puberty in males and females. In addition to this several studies have used diffusion tensor imaging to detect changes in the structure of the brain over short time scales i.e. hours, following various learning tasks. This raises the question as to whether these types of experiment can be used to measure brain structural changes as a result of the acquisition of mathematical skills. This talk will explore the latest developments in measuring brain tissue microstructure and connectivity using MRI and will discuss their suitability for future experiments designed to better understand the acquisition of mathematical abilities as well as exploring the neural basis of dyscalculia. Professor Chris Clark is an expert on advanced neuroimaging methods with an emphasis on applications in the developing brain. 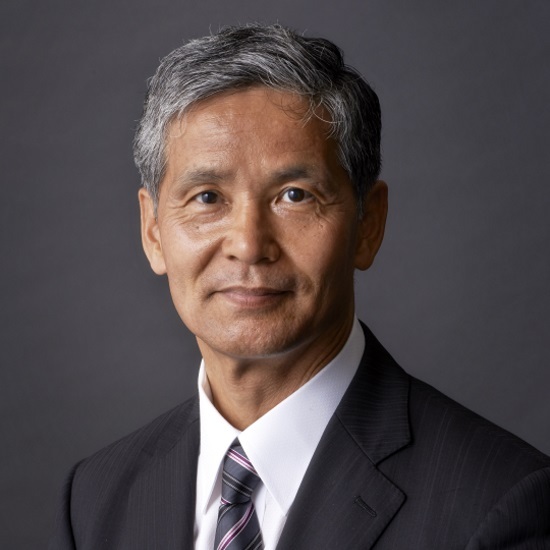 His main specialty is a technique called diffusion MRI which can be used to measure the microstructural integrity of brain tissue. In particular the method can be used to derive maps of brain connectivity otherwise known as 'connectomes'. Professor Clark will therefore discuss the potential of new developments in the field of neuroimaging and how these might impact on our understanding of numerical abilities and dyscalculia. The acquisition of any complex cognitive skill, such as learning to count and perform arithmetic, is the result of regional- and system-level interactions within and between brain areas, that occur over development. This process of neuroplasticity is marked by functional brain specialisation, strengthening of structural and functional brain connections, as well as the maturation of memory circuits through subcortical-cortical interactions. 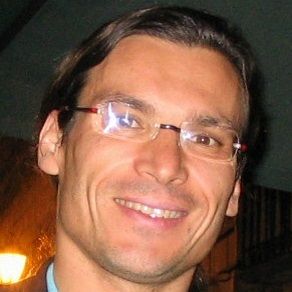 Dr Iuculano will report the results of a series of studies where the group exploits a well-controlled learning design that uses an intensive 8-week numerical training combined with event-related functional resonance imaging (fMRI), to assess brain plasticity during numerical problem solving in different cohorts of primary-school children. First, they show that training elicited dramatic neuroplasticity in a population of 7-9 year olds with mathematical learning disabilities by reducing functional activity in multiple brain systems in the prefrontal, parietal and ventral temporal-occipital cortices, that encompass multiple stages of the information processing hierarchy necessary for successful numerical problem solving. Crucially, in typically developing children, the same training was associated with greater engagement of memory systems anchored in the hippocampus, and concurrent increases in hippocampal-cortical connectivity. Third, they show that in children with high levels of math anxiety, neuroplasticity effects were characterised by reduced activity and connectivity in emotion-related circuits anchored in the amygdala. Together, these findings suggest that the recruitment of brain circuits important for numerical problem solving changes as a function of training and different cognitive and affective profiles. More generally, this work helps to perfect neurodevelopmental models of numerical learning and cognition. 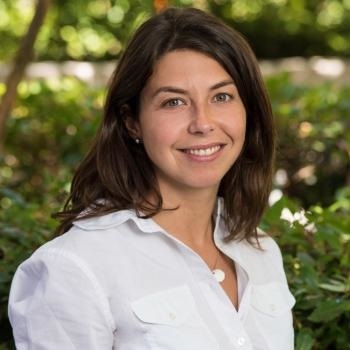 Teresa Iuculano is a post-doctoral fellow at the Stanford Cognitive and Systems Neuroscience Laboratory, Stanford University School of Medicine. Her research focuses on learning and brain plasticity associated with numerical skills’ acquisition in typical and atypical populations. 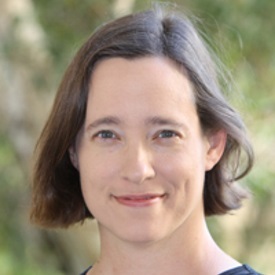 Her work integrates neuroimaging and neuromodulation techniques with pedagogical, cognitive and learning models to examine how the unique educational experience of learning to count and perform arithmetic drives changes in brain architecture and function, and how these processes can go awry in those with neurodevelopmental learning disabilities. Her work also examines mechanisms of plasticity after intervention with the ultimate goal to translate neuroscience-based approaches to clinical and educational practices. Recent publications include: Iuculano et al., (2015). Cognitive tutoring induces widespread neuroplasticity and remediates brain function in children with mathematical learning disabilities, Nat Commun; Iuculano & Cohen Kadosh (2014). Preliminary evidence for performance enhancement following parietal lobe stimulation in Developmental Dyscalculia, Front Hum Neurosci. Numerical competence is essential for leading an autonomous and successful life. Numerical deficits have a negative impact on patients’ decisions and negatively influence their health management. Stroke, head trauma or degenerative diseases frequently lead to deficits in specific numerical functions. Research suggests that not only parietal structures, but a complex cortical-subcortical network supports symbolic and non-symbolic number elaboration. Patients’ deficits may concern the processing of quantities, the retrieval of declarative as well as procedural number knowledge, but also the understanding of numerical concepts, such as ratio, risk or probability. Neuropsychological rehabilitation studies show that patients are able to acquire new fact knowledge after brain damage and indicate that different cues may support the learning progress. Importantly, fact knowledge has to be supported by conceptual understanding. Less is known about learning more complex concepts. Recent findings suggest that numerical training may also improve the comprehension of ratios and risks. These findings are important for patients, as ratio processing together with executive functions have a strong impact on real-life decision making. Future research has to evaluate different rehabilitation approaches and to define outcome measures which are relevant for patients’ everyday life. 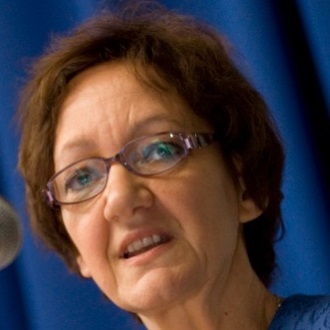 Margarete Delazer is Professor of Neuropsychology at the Medical University Innsbruck. Her main topics of research include the neuropsychology of mathematical cognition, the rehabilitation of calculation disorders and the neuropsychology of decision making. She received her PhD in psychology at Leopold Franzens University in 1994. 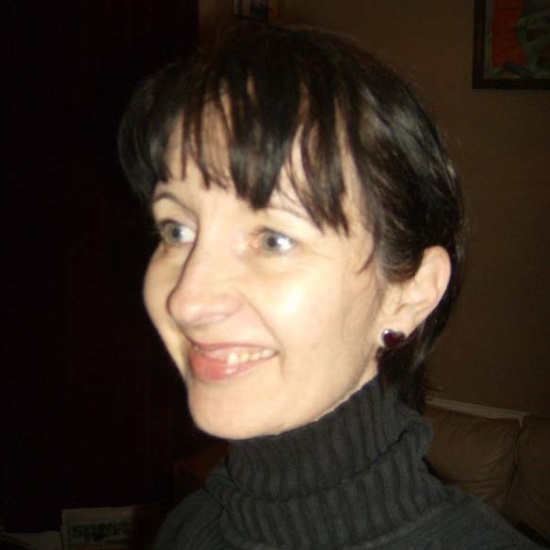 She worked at the University of Padua (1991-1993) in a research project on the neuropsychology of mathematical cognition and continued her research on mathematical cognition at the University College London (1995/1996) and at the Medical University Innsbruck. 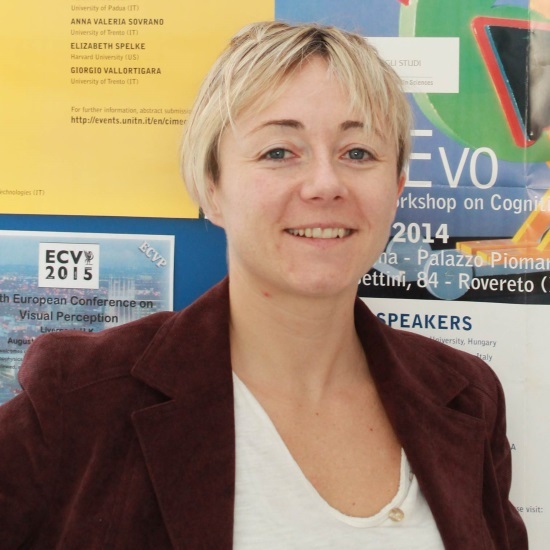 Rosa Rugani is a fellow at the Department of General Psychology at the University of Padova. Her research focus is the biological basis of cognitive processes. She was visiting researcher at the Center for Avian Cognition of the Saskatchewan University in Canada and at the Center for Cognitive Neuroscience of the Duke University in Durham, North Carolina (USA). Her research has been published in prestigious scientific journals and her work has attracted media attention internationally because of her notable and original contribution to the advancement of our knowledge on the biological basis and evolution of animal mathematical cognition. Fish are the most distant relatives of primates and are therefore an ideal group for testing whether the numerical systems of all vertebrates have a common ancestry. Fish offer unique opportunities for investigating some other topics. In higher vertebrates it is difficult, if not impossible, to compare young and adults with the same paradigms and to devise experiments that dissociate the role of genes, maturation and experience on the development of numerical abilities. In contrast, fish offspring are completely independent at birth and show the same behavioural repertoire of adults (e.g., evading predators, catching prey, interacting with conspecifics). This allows researchers to employ associative learning in newborns or exploit a number of spontaneous behaviours such as the preferences for the largest number of companions or food items, the same preferences studied in adults. Most studies to date have investigated if fish spontaneously discriminate between two observable quantities or if they can be trained to do so, and research has shown that they excel in these abilities. In these tasks, fish show the typical signatures of the number system of humans and their close relatives. It is unknown whether fish share other features that are shown by mammals and birds. In particular, future experiments should determine 1) whether a learned discrimination can be generalised to new stimulus formats, 2) whether fish show spontaneous cross-modal transfer of numerical information, 3) whether fish can perform simple arithmetic operations such as addition or subtraction and 4) whether they can be trained to associate a given quantity to an abstract stimulus. Angelo Bisazza is Professor of Psychobiology at the Department of General Psychology, University of Padova and member of the Accademia Galileiana. His early research concentrated on inter and intra-specific diversity in reproductive strategies in teleost fishes and on evolution of male ornaments through female mate choice. In early nineties, together with Lesley Rogers and Giorgio Vallortigara, he described the presence of functional brain asymmetries in fish and amphibians and later he investigated the genetic and environmental factors influencing the direction and strength of brain asymmetries in fish as well as the selective advantages and the disadvantages of cerebral lateralisation. The last decade was devoted to study, together with Christian Agrillo, fish numerical abilities which in many respects appear comparable to those described in mammals and birds. His present research interest focuses on individual differences in cognitive abilities using guppies as model species. Animals time and count with similar psychophysical properties suggesting their reliance on common information processing dynamics. Importantly, formal analyses reveal that the resultant representational uncertainty is one of the determinants of the reward-rate maximising temporal and numerical decisions. To this end, animals have been shown to optimise their time-based decisions based on their endogenous timing uncertainty. This talk will extend the same decision-theoretic approach to the numerosity domain based on two recent mouse studies. The first study investigated if mice can count their responses and optimise their numerical decisions solely based on endogenous counting uncertainty. Results confirmed that mice can count in accordance with scalar property and they can maximise reward rate by incorporating their endogenous counting uncertainty into their numerical decisions. The second study investigated whether mice can modulate their numerical choice behaviour adaptively also by incorporating exogenous probabilistic information (i.e., relative frequency of ‘few’ vs. ‘more’ trial types) into their numerical decisions. Results showed that mice can categorise numerosities and adaptively modulate their numerical decisions based on the experienced probabilistic contingencies again in directions predicted by optimality. Overall, these results point at informationally-rich counting and numerical decision-making abilities of mice. Future directions will be discussed in relation to two critical questions arising from these results. 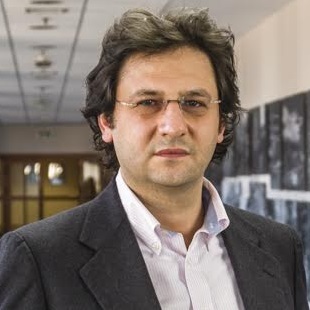 Professor Fuat Balcı received his doctoral degree in Psychology (2007) from Rutgers University. Following his doctoral studies, he served as the head of a research group at PsychoGenics, Inc. and continued his academic career as a post-doctoral researcher at the Neuroscience Institute, Princeton University (2008-2010). He has been serving as an assistant professor (2011-2014) and then Associate Professor of Psychology at Koç University (2014-present). He currently serves as the Associate Dean of the College of Social Sciences and Humanities at the same institution. Dr Balcı is a member of the Global Young Academy and co-editor in chief of International Journal of Comparative Psychology. His research interests lie in the areas of interval timing and decision-making in humans and animals from both empirical and theoretical perspectives. Humans and other animals can estimate rapidly and reasonably accurately the number of items in the scene. Professor Burr will present psychophysical evidence showing that at moderate densities, humans discriminate number spontaneously and directly, rather than indirectly from estimates of density and area. At high densities, as the elements become too crowded to be segregated, different mechanisms come into play to encode ‘texture-density’. The group uses adaptation techniques to provide further evidence for the existence of specialised numerosity mechanisms, or numbersense. They go on to show that this sense of number is truly general, encoding the numerosity of both simultaneous and sequential sets of elements, in all modalities, as well as interacting with the generation of motor acts. Finally they show that the capacity to discriminate numerosity (but not density) correlates with mathematical ability in school-age children, reinforcing the idea that discrimination of numerosity may serve as a ‘startup tool’ for acquisition of maths. 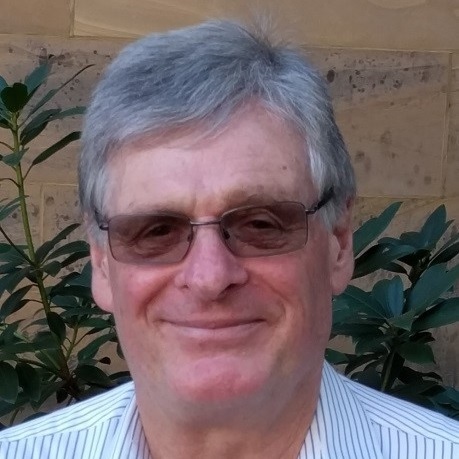 David Burr graduated in psychology at the University of Western Australia in 1975, and went on to complete a PhD in psychology and physiology at Cambridge University in 1979. Since 1991 he has held psychology chairs in Italy, first in Rome and currently in Florence. Over 40 years he has studied the human visual system, and perception in general, focusing on form and motion perception, perception during eye-movements and infant development. More recently he has expanded his research into multi-sensory perception, perception of time and, most recently, perception of numerosity. Matsuzawa has been studying chimpanzee both in the laboratory and in the wild. 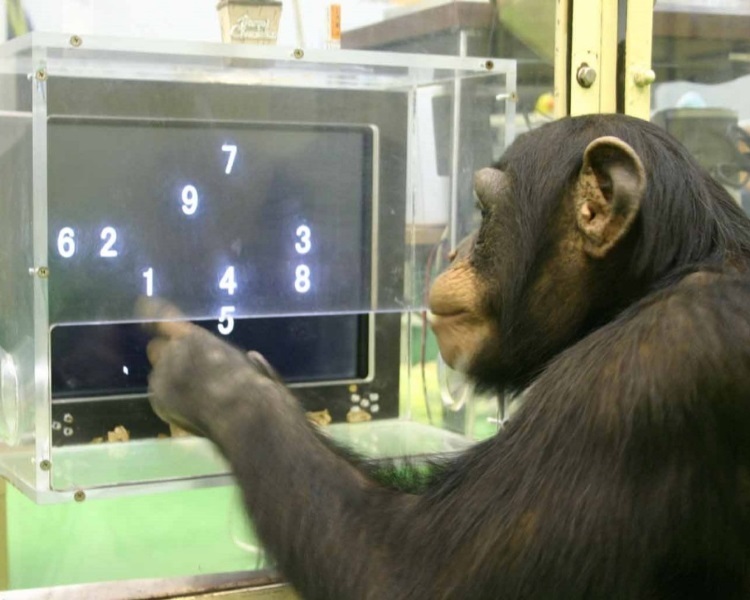 The laboratory work is known as 'Ai-project' in the Primate Research Institute of Kyoto University since 1976: a female chimpanzee named Ai learned to use Arabic numerals to represent the number (Matsuzawa, 1985, NATURE). The field work has been carried out in Bossou-Nimba, Guinea, since 1986, focusing on the tool use in the wild. Matsuzawa tries to synthesise the field and the lab work to understand the mind of chimpanzees to know the evolutionary origins of human mind. He published the books such as 'Primate origins of human cognition and behavior', 'Cognitive development in chimpanzees', 'The chimpanzees of Bossou and Nimba'. He got several prizes including Jane Goodall Award in 2001, and The Medal with Purple Ribbon in 2004, The Person of Cultural Merit in 2013. 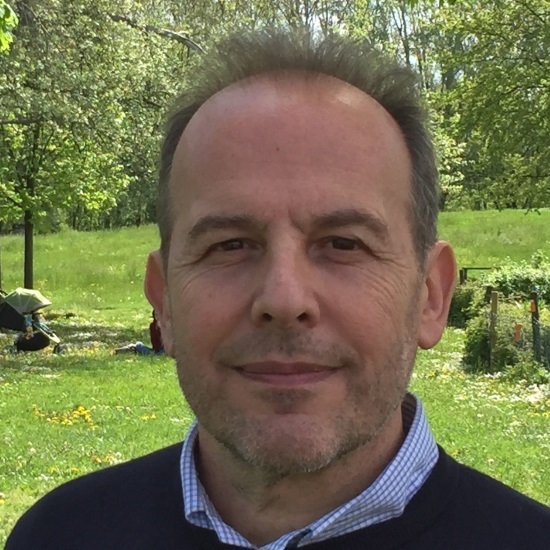 Marco Zorzi is Full Professor of Cognitive Psychology and Artificial Intelligence at the University of Padova (Italy), and Senior Researcher at IRCCS San Camillo Neurorehabilitation Hospital (Venice-Lido). He received doctoral and postdoctoral training in Padova, Trieste, and London, and had previous faculty positions in Milan and Padova. 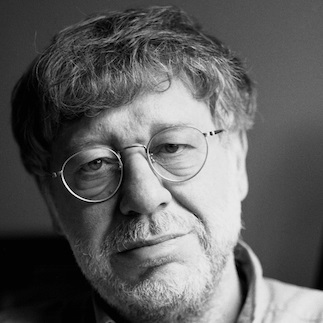 In 2001 he set up the Computational Cognitive Neuroscience Lab, an interdisciplinary laboratory at the frontiers between cognitive science, computer science and neuroscience. Research is focused on the computational bases of cognition, from development to skilled performance and to breakdowns of processing in atypical development or after brain damage. Recent computational work has been supported by a prestigious award from the European Research Council and it is complemented by empirical research based on a combination of behavioral methods (reaction times and psychophysics), neuropsychology, and functional neuroimaging (fMRI, fNIRS, EEG). The main research lines are numeracy and number processing, attention and spatial cognition, reading and dyslexia. The importance of visuo-spatial abilities for early numerical cognition in North American and European cultures raises the issue whether these abilities are similarly important for children in cultures that lack counting words. If the same visuo-spatial factors predict culturally-appropriate arithmetic, it would support the hypothesis that the same cognitive representations are deployed by individuals with and without counting words. In numerate societies, early arithmetic development is associated with visuo-spatial working memory, executive functions, nonverbal intelligence, and magnitude comparison abilities. Here we ask to what extent are these associations due to cultural practices or to general cognitive prerequisites? To answer this question, Anindilyakwa-speaking Aboriginal children living on a remote island in northern Australia, whose culture contains few counting words or counting practices, and non-indigenous children from an Australian city were administered standardised tests of cognitive abilities (Corsi Blocks, Raven’s Coloured Progressive Matrices, Porteus Maze). The indigenous children completed a non-verbal addition task, and the non-indigenous children completed a single-digit addition task. Consistent with previous observations, indigenous children exhibited superior spatial abilities. Nevertheless, correlation matrices among variables show similar patterns of relationships, and parallel regression analyses showed visuo-spatial working memory was the main predictor of addition performance, in both groups. The findings contribute to the growing body of evidence supporting the hypothesis that the same cognitive abilities are deployed by individuals with and without counting words. The implications of this hypothesis and of these findings for a more complete account of numerical cognition will be discussed. Robert Reeve heads the neuropsychology and cognitive development lab in the Melbourne School of Psychological Sciences at the University of Melbourne. He has conducted research in several areas of children’s mathematical development. Among other areas, he has investigated (1) numerical abilities in Australian aboriginal children, (2) the neurocognitive origins and development sequelae of dyscalculia and poor mathematical ability, and (3) individual differences in the emergence and development of mathematical ability in young children. He is particularly interested in the relationship between core number abilities, the nature of the visuo-spatial and perceptual factors associated with the development of mathematics and quantitative reasoning abilities. 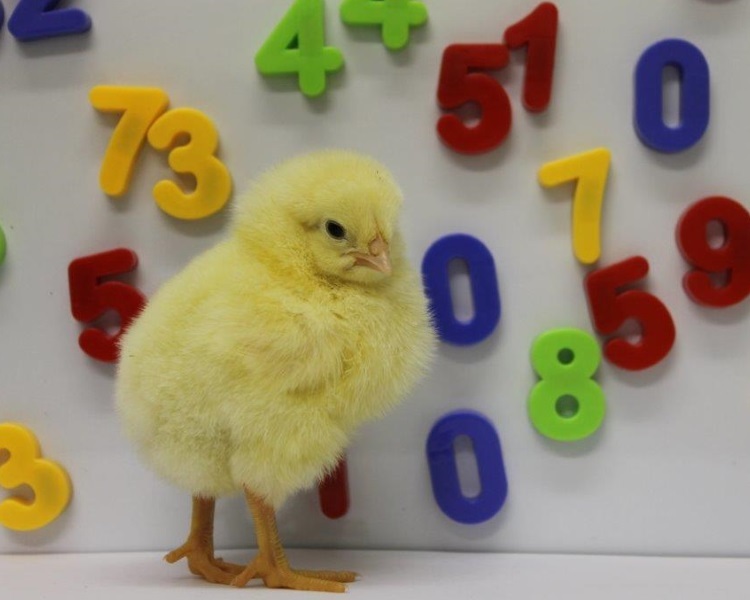 In recent years, researchers have become interested in the question of how children's innate, approximate numerical abilities are related to their mastery of symbolic (spoken and written) numbers, counting and mathematics. Some have even expressed optimism that interventions targeting the approximate number system may improve children's mathematics learning and achievement. In this talk, Professor Sarnecka will argue that while the connection between approximate and exact number representations is theoretically interesting, most children's struggles with maths do not stem from deficits in the approximate number system. And the most problematic gaps in maths achievement - those related to children's socio-economic status - have little or nothing to do with the approximate number system. Finally, Professor Sarnecka will argue that researchers' standard ways of measuring approximate-number-system acuity are invalid for use with children who have not yet grasped the cardinality principle of counting. All of these arguments support the conclusion that in the real world, variations in maths performance are much more likely to stem from differences in mastery of the symbolic number system than from differences in individuals' nonsymbolic numerical abilities. I am interested in questions about where concepts come from, and most of my work has looked at how young children acquire number concepts. Relatedly, I am interested in how early childhood education can support young children's understanding of numbers and lay the foundation for later learning in science, technology engineering and mathematics (STEM). I am also interested in language development, (particularly the role that language plays in conceptual change) and in social cognition (e.g., infants and children’s understanding of social hierarchies). I feel lucky to live and work in Southern California, which has an exceptionally diverse population and makes it easy to include participants from many different ethnic, racial, linguistic and socio-economic backgrounds in research. Finally, I believe in open science. I try to use my work as a researcher, author, reviewer and editor to support noncommercial, open-access publishers whenever possible. Neuroimaging studies show that for dyscalculic learners there is a local structural abnormality, with less activation in the parietal cortex for numerical tasks. These studies suggest that dyscalculics fail to understand basic number concepts, and this needs to be remediated before moving on to formal arithmetic. There is already some evidence that remedial interventions can improve performance, and can also modify brain structure and function. However, although the findings from cognitive science and neuroscience have identified targets for intervention, they have not, so far, informed pedagogy. Typically interventions have used answer selection to rehearse facts and concepts already encountered. By contrast, an effective pedagogic design would recruit the way the brain learns about the world without a teacher, using prediction-error learning with informational feedback. For learning about numbers, this would mean learners engaging with a world in which numbers become objects whose properties the learner can predict, observe, and manipulate to achieve a goal. Professor Laurillard will present examples of adaptive, constructionist, digital games that create such a world. They enable the learner not only to rehearse known facts and concepts, but also to develop new concepts. A research programme for interventions for dyscalculia – and other types of low attainment in numeracy – should test their effectiveness against improved numerical competence, and also against predictable changes in neural structures and functioning. Diana Laurillard is Professor of Learning with Digital Technologies at the UCL Knowledge Lab, leading research projects on: developing the Learning Designer suite of tools, an online community for teachers and trainers, adaptive software interventions for learners with low numeracy and dyscalculia, and the use of MOOCs for CPD. Previous roles include: Head of the e-Learning Strategy Unit at the Department for Education and Skills; Pro-Vice-Chancellor for learning technologies and teaching at The Open University; the Visiting Committee on IT at Harvard University; Royal Society Working Group on Educational Neuroscience. Most recent book is Teaching as a Design Science, 2012. Previous book, Rethinking University Teaching, Routledge, 2002, is one of the most widely cited in the field.